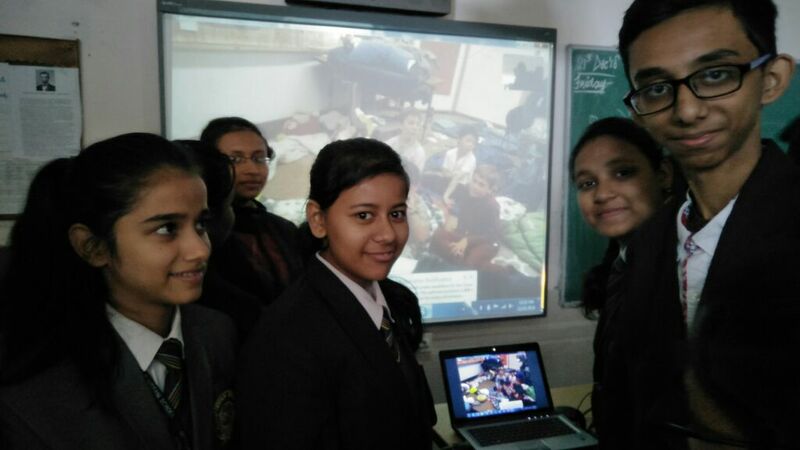 Skype in the Classroom is a community of educators across the globe that allows educators, policy makers, administrators, teacher learners and students to collaborate on various interactive projects, taking up various eminent SDGs and learning 21st century skills. Educators can use this powerful tool of learning to bring out the far of learning centers together under one roof. This tool of learning makes the concepts and the lessons interesting and innovative. It is found that when the learners are involved in any activity wholeheartedly, they retain them for a long time. Skype sessions allows the educators and the learners to interact and experience new cultures, traditions, language and idea without leaving their classrooms. Skype allows students to interact with their co-learners who are living in the different countries. When the educators make profile in Microsoft Educators Community, they can check out different projects which are available on the site. After looking into the various objectives, specialties and goals of the projects the educator can book the scheduled session with their fellow educators. When the educators and learners are involved in these projects, they make their connection with the classrooms across the globe. It also provides a wider range of opportunity to interact with famous personalities, great writers, scientists and different professionals. There are different projects available on the Microsoft Educators Community for Skype Collaboration; where the educators can register their classroom for a project. It is a great way to learn 21st Century skills and build up an impeccable learning style which is imbibed with Sustainable Development Goals. The Skype2learn Campaign provides a vast spectrum of opportunities for students for social interaction with classrooms outside of their country or town; and social interaction allows the learner to reflect and reconsider, get help and support, and participate in authentic problem solving. It also provides a great opportunity to the learners who live in remote places and cannot travel far due to various reasons. They can see the Taj Mahal, the Yellowstone Park, the Ancient Museum of Egypt and many more places without leaving their classrooms. We can use the video option in Skype to bring the Field Trip into the classroom – for example, visiting The Ancient Museum Egypt, Pyramids and Fossil Park and many more places. The students can get connected to far off distance places through the spectrum of internet. These Skype activities provide a wide range of learning strategies to the learners as well as to the teachers. There is dynamic sharing of pedagogical styles and techniques between the educators from two different educational backgrounds. This also builds up authentic learning environment and engages the learners into a fruitful activity. The most important benefit of using Skype in the classroom is the global connect and exchange of language. Through this powerful tool of technology, the educators are building up a community where everyone relates to a broad spectrum of internet, learning and universality of global citizenship. It also allows to observe the cultural differences, differences in their food, weather conditions, physical features and so on. Classroom teachers can leverage or promote the potential of disruptive technologies like Skype and other technology immersion initiatives to increase motivation of learners to communicate with authentic audiences and share their expertise, spend time in fruitful tasks, and develop essential literacy and basic skills needed for a successful and progressive life in current times. There are so many opportunities provided for making learning experience memorable. Teachers across the world are engaged in enlightening and versatile exchange of thoughts and presenting an exemplary potential or capability in using Skype as a learning tool in the classroom. Skype enables students to connect, collaborate, and communicate with other students across the globe. It creates a global platform for students to learn from each other, to have interactive co-learners for their work and collaborative projects, and to meet other co-learners who can scaffold their learning process. There are many educators who are working together with the aim of promoting peace and global understanding through this project. In my classroom teaching I have noticed that ever since I have started using Skype as a learning tool, students look forward to my class. I can feel the enthusiastic approach towards learning through Skype. The most memorable trip was the Trip to Volcano site in El Salvador with Selvin Rivas. The students virtually visited the volcanic site and they were totally involved and learnt the amazing facts, which couldn’t be learnt by only flipping the pages of Geography book. It has not only enhanced the retention capacity but also the involvement of learners in the classroom. They know about different cultures, different languages, different lifestyle and most importantly the embedding of SDGs in their lives. Learners improve their communication skills when there is a connect between the two classrooms especially when the learners get a chance to interact with native speakers. When the students are involved in various Global Projects through Skype Collaboration, we move towards a better world with better citizens. As an educator its our responsibility to build a strong foundation of global citizenship by incorporating 21st Century Skills that is to build up Communication, Creativity, Collaboration and Critical Thinking. Let’s get connected to this world of e-learning. Just wish for eternal connection of learning.